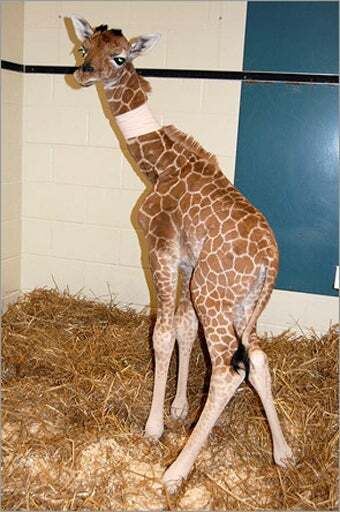 Molly the giraffe was born at Southwick's Zoo in Mendon, MA two days ago. She couldn't nurse, as her mother wasn't producing milk, and even after being fed cow milk she was weak and had trouble standing. The staff at Southwick's rushed her to the Tufts University Cummings School for Veterinary Medicine in North Grafton. As a tipster notes, "this tall tale has a happy ending."